Let your skin soak up all the magical, relaxing properties of a flower garden with this floral facial steam. Containing a mix of bright and nutrient rich flower petals, this face steam is a great way to let your skin absorb a mix of skin soothing and relaxing flowers. The rose petals in this facial steam are rich in antioxidants and vitamin C, while chamomile flowers help calm skin. 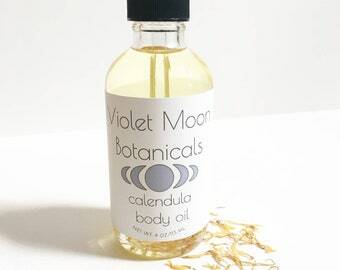 Calendula has been used since ancient times for a number of medicinal uses, it has continued to be a useful herb in conditioning skin. Lavender buds help calm skin and give off a relaxing scent. Sunflower petals give a bright cheery glow to this mix. 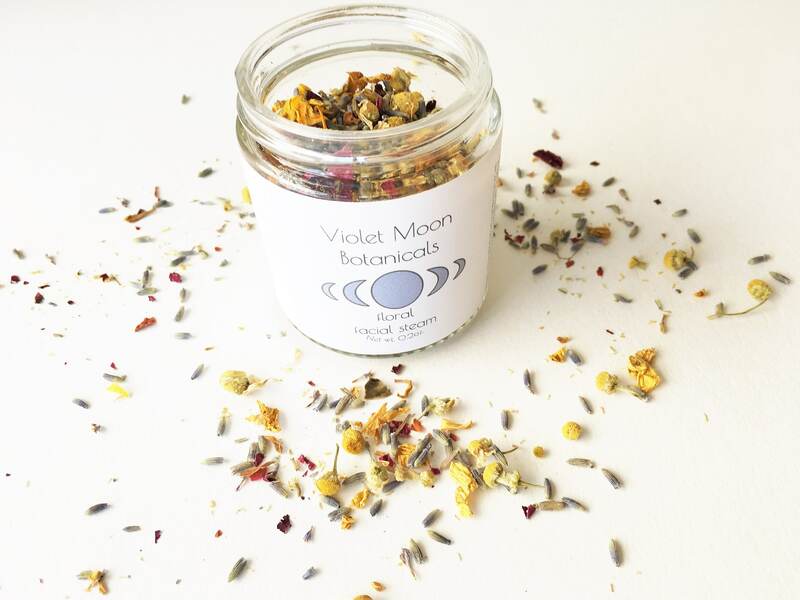 Each jar contains hand picked rose petals, lavender, chamomile, sunflower petals, and calendula petals from sunny Southern California. Straight from my organically grown garden, I harvest and dry fresh flowers and herbs by hand. All ingredients are sustainably harvested, picked at their peak state and preserved for your enjoyment. 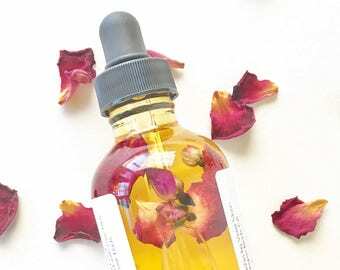 Ingredients: rose petals, sunflower petals, calendula petals, lavender buds, chamomile flowers. 1 made to order glass jar containing .02oz. of floral facial steam. To Use: remove a small amount of product from jar with a clean dry spoon. Add the spoonful of facial steam mix to a teapot filled with 1-2 cups of boiling distilled water. I recommend using distilled or filtered water as you don't want your skin to absorb anything damaging that may be in your tap water. Allow to steep for ten minutes. Pour the infusion into a large bowl or plugged sink. Hang your head over the bowl or sink, about 6-8 inches away, and drape a towel over your head, creating a steam tent. Steam your face and neck for about 5 minutes, relax and breathe in the natural scent of flower petals. Then rinse your face and neck with lukewarm water and pat dry. This product contains enough for approximately 5 uses. 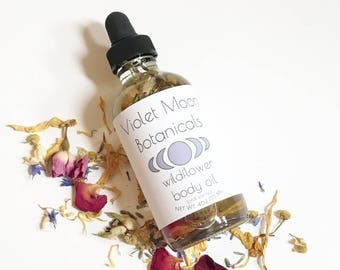 Fore more products including vegan skin care and cleansers, other natural beauty products as well as spa and relaxation gifts for her check out our etsy homepage!